Kevin Steele treks to the cedar breaks and coulees of north-central Nebraska for a shot at a big prairie whitetail. With his Mozambique forest bull in the salt, Craig Boddington sets his sights on the Marromeu grasslands in pursuit of a swamp buffalo. Craig Boddington returns to Mozambique's fame Coutada 10 for a shot a forest buffalo that's eluded him for 10 years. David Draper teams up with Fred Eichler to hunt elk on the high plains of southern Colorado. Host Mike Schoby joins his buddies Jon Dubin and Jeff Johnston on the island of Lanai for a deer hunt Hawaiian style! Kevin Steele and CZ-USA's Jason Morton return to Alaska's arctic tundra for Kevin's second and Jason's third attempt on the legendary species. Things are looking up on day one but time will tell if the boys will get a shot a the king of the tundra. 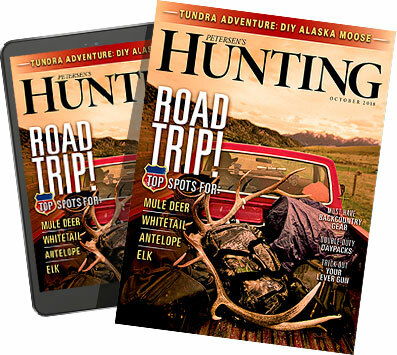 Host Kali Parmley takes first-time hunter Danae Hale of CZ-USA to Wyoming for a mule deer hunt. After covering all the basics with Danae, the girls head into the field and what happens next goes way beyond either of their expectations! Mike Schoby takes his nephew, Mitchell, on his first-ever whitetail hunt in Nebraska. David Draper shares his recipe for making delicious cheeseburger poppers with wild game in this edition of "Fare Game." Mike Schoby gets his nephew, Mitchell, ready for his first-ever deer hunt, which includes a tour of the Hornady factory. Host Craig Boddington lays claim to hunting more than 100 Cape Buffalo over the course of his 40 plus year career, but he never took one with a handgun. That changed in South Africa when Craig faced down "black death" with a magnum wheelgun.